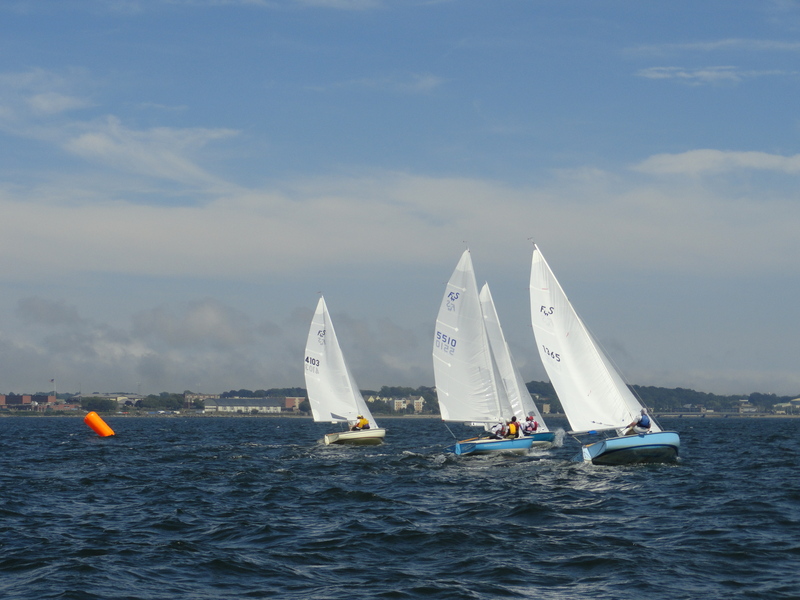 Four women's teams sailed out under the Newport Bridge for the 2016 Women's NAC. When they left the dock around 11:00 AM< the wind was light but by the time they got to the race course, the wind had picked up and there was plenty of breeze. The finishes were close between the 1st and 2nd place boats in all 3 races. But in the end, Lynn Bruss and her crew, Deb Aronson and Stacey Rieu prevailed. Full results are here. Qualifiers for the NAC start tomorrow. Good luck to all!